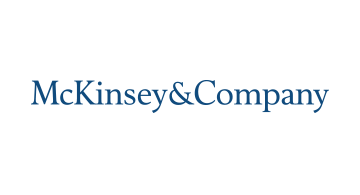 McKinsey & Company is a global management consulting firm with over 100 locations across more than 75 countries. We have more than 20 different industry practices and eight major functional practices. McKinsey is a trusted advisor and counselor to the leaders of many of the world's most successful businesses and institutions. That is why we are the partner of choice for financial services companies seeking high-impact strategies for profitable growth. Our intellectual capital and our expertise in every dimension of the industry enable us to offer clients innovative, actionable solutions. The structure of our practice reflects the complexity of the financial services industry. Organized along sector and functional axes, our sub-practices cover the full spectrum of business challenges. We serve corporate, investment and retail banks, brokerage and securities firms, life and property and casualty insurers, asset managers, consumer finance companies, credit card companies and payments services providers, as well as many non-traditional financial companies. We also provide deep functional expertise in operations, technology, marketing, digital, analytics, organization and risk.